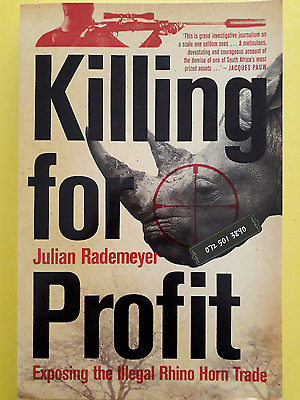 Killing For Profit - Julian Rademeyer. Hi, I’m interested in Killing For Profit - Julian Rademeyer.. Please contact me. Thanks! Exposing The Illegal Rhino Horn Trade. A terrifying true story of greed, corruption, depravity and ruthless criminal enterprise. Julian Rademeyer is an award-winning investigative journalist.